Why is Ten Feet Tall’s Sarah Hartley so passionate about equipping children and adults with the confidence to speaking and perform confidently? Simply, because it plays a critical role in achievement not only at school but in future careers and personal lives. Sarah is a highly knowledgeable performance coach with over 15 years experience in the education sector and corporate arena. She is a registered Speech and Drama teacher. Sarah is a warm, creative and relatable mentor with a goal focused approach and high expectations that gain results. She has seen the success that results from developing strong speaking and performance skills. 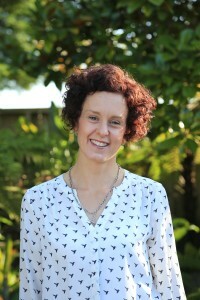 Sarah has taught Drama and English in secondary schools and has lived in Japan as an ESOL teacher. She has also worked for KMPG as a senior manager developing communications and management training, strategy and initiatives. In her role as Director of Ten Feet Tall, Sarah weekly coaches children, students and adults in developing speaking confidence. Sarah’s practical results oriented training, sees her working with both small and large business throughout Auckland. To contact Sarah please give her a call: 0273337385 or email her here.